Mobile games publishers Miniclip and Tencent have announced that War Wings will release in North America on the 17th of November. The hit aerial dogfighting title is currently available for iOS and Android devices in most European countries and other select regions worldwide. 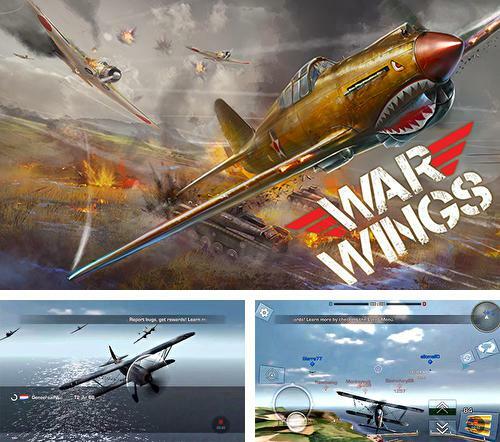 War Wings features real-time 4v4 online aerial dogfighting action with stunning 3D graphics. The game simulates World War II air combat with a dedicated adherence to historical accuracy, technical detail, and real-life flight dynamics. Players acquire and upgrade authentic WWII-era warplanes as they compete against other pilots from around the world for PvP air supremacy. War Wings is available as a free-to-play title on both the Apple App Store and Google Play.